NORTHWEST PHILADELPHIA (WPVI) -- Some neighborhoods of Northwest Philadelphia are dealing with a power outage Sunday night. 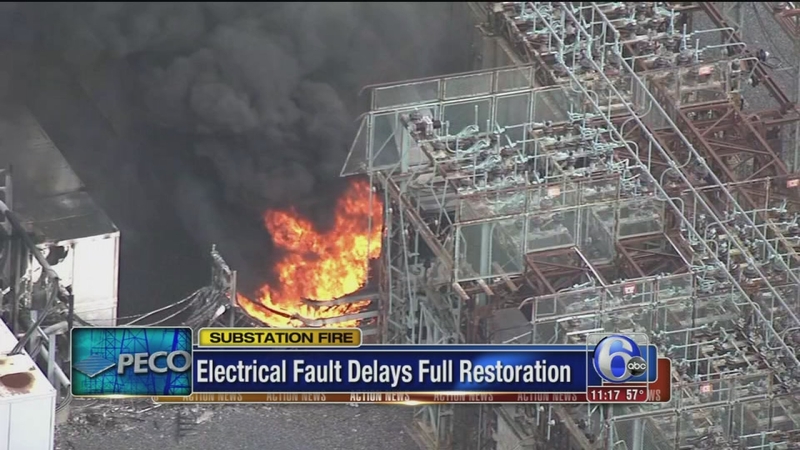 But it's all intentional, so PECO can make repairs to the substation in North Philadelphia that was damaged by fire last week. Crews are working to get those repairs done before this week's storm hits. PECO's efforts to restore power hit a snag Wednesday night. 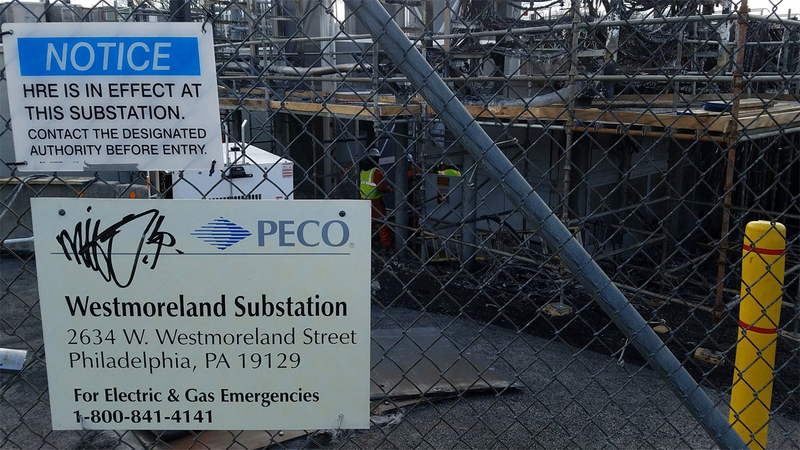 The substation sustained extensive damage in a fire Tuesday at the plant on Westmoreland Street. PECO shut off the electricity Sunday night to thousands of people, so that those repairs could be made. The outage was supposed to be over by 9 p.m., but PECO says its crews are behind schedule. Stay with Action News and 6abc.com for the latest in this developing story.